Award-winning author Neville Peat investigates the multiple faces of the greatest environmental issue to face New Zealand and other Pacific nations this century. `Low-lying coast is a chronically grim frontline of climate change, socially and economically, and the frontline with the most to lose.' New Zealand's coastline is under attack. When cyclones and king tides coincide, there is double trouble at the sea's edge with erosion and flooding. Award-winning author Neville Peat investigates the multiple faces of the greatest environmental issue to face New Zealand and other Pacific nations this century: the science of a warming, rising, stormier sea; the risky reality for many low-lying communities; the sluggish response of central and local government; the engineered solutions and the curly question of insurance. He also addresses the vital question: what should be done and who should pay? 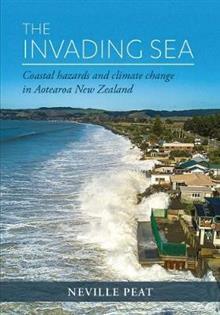 The Invading Sea is the first book for a general audience about adapting to the impact of climate change on New Zealand's coastline.